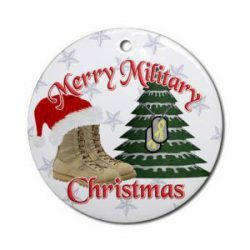 To readers of wwiiafterwwii, I would like to wish a Merry Christmas and happy holiday season. Above is the Christmas mess deck menu of USS Culebra Island (ARG-7), a Luzon class engine repair ship, for Christmas 1945, the first after peace returned. Commissioned on 19 May 1944, USS Culebra Island participated in the liberation of the Philippines and supported operations on Borneo during WWII. Immediately after the war’s end, USS Culebra Island participated in operation “Magic Carpet”, the mass sealift of servicemen back to the United States. USS Culebra Island‘s pennant number used an experimental new font intended for the postwar fleet, which in the end was never adopted by the US Navy. On 18 December 1946, USS Culebra Island was declared surplus to the needs of the peacetime military and decommissioned into reserve. The ship remained stored in the Suisun Bay, CA reserve anchorage until 10 December 1973, when the badly-rusted hull was auctioned off as scrap. The WWII-veteran ship was broken apart at Portland, OR in early 1974. Thank you and the same to you and yours. Merry Christmas as well – I only discovered this blog a couple of weeks ago, and have thoroughly enjoyed working my way through all of the posts and entries. May I share the pictures of the menu with a WWII group I belong to on Facebook?